Last weekend I set out on a little roadtrip through Florida, specially areas near Orlando, to document and promote uncommon and planet-loving activities families could be part of to give a twist to their "Disney" trips. But most of all, to inspire everyone reading this to avoid visiting aquariums, to choose to swim with animals in the wild, and support hotels that are taking an extra step to have nature in mind in their practices. With that being said, here are details, photos and video of this trip! Day 1: We drove from Miami to Orlando and stayed at B Resort and Spa. 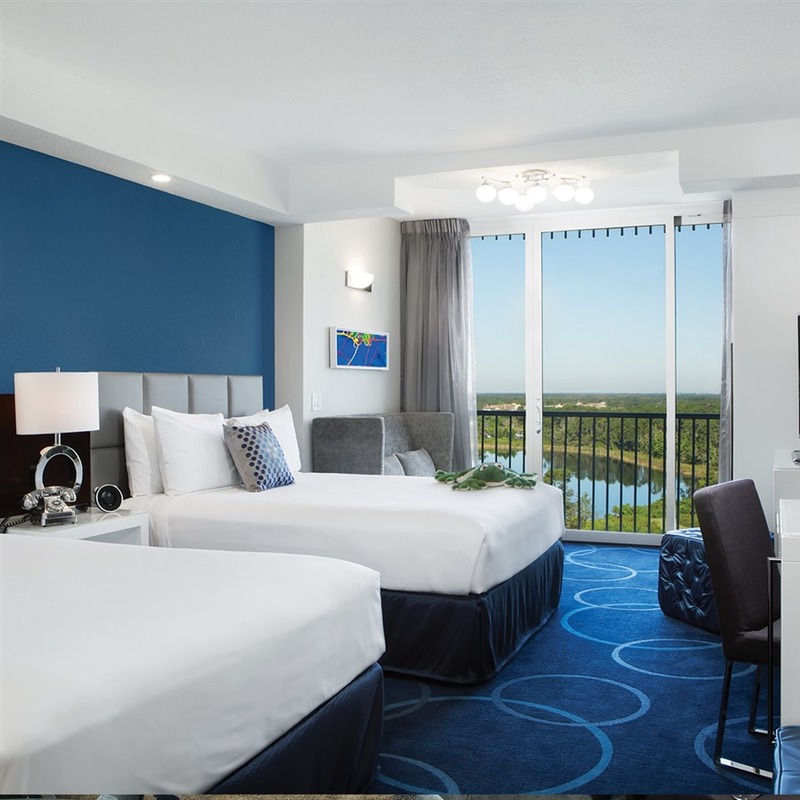 This is, from my experience and research, Orlando's first eco-friendly hotel. Finally! I've been to Orlando and Disney so many times it's almost embarrassing for my age, and I always complained about not being able to find hotels with eco practices other than those that wash sheets once per week! B Resort blew my mind away, guys! Starting with the fact that, even though it's located in the Disney area, its design is not entirely based on Disney characters. Far from that! 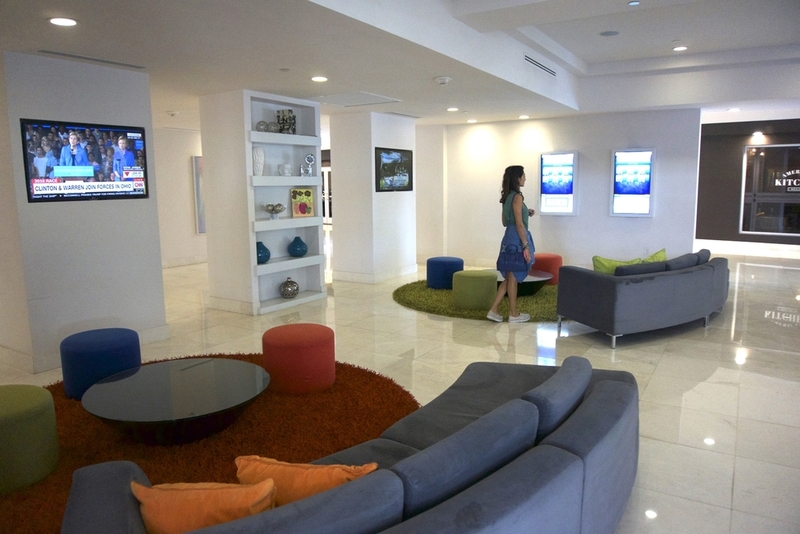 This hotel is the perfect combination of luxury, modern and clean design, and planet-loving practices. I'm not going to lie, I got to Orlando exhausted after a 6 hour drive (my friend and I sort of got lost on the road and our 4 hour drive turned into 6!!) but the minute I opened my room's door I couldn't help it but smile. On top of my bed laid the cutest plush frog in representation of the hotel's "B Humane" practices that support animal and nature conservation. Right there, I knew I was in the right place. A few minutes later, my smile turned into uncontrollable childish giggles when I decided to take a quick shower before heading out again and realized that the bath products were all Aveda! (In case you don't know, Aveda is a beauty brand whose mission is entire focused on caring for our world and using natural, cruelty-free and eco-friendly ingredients that are kind to our bodies and planet. 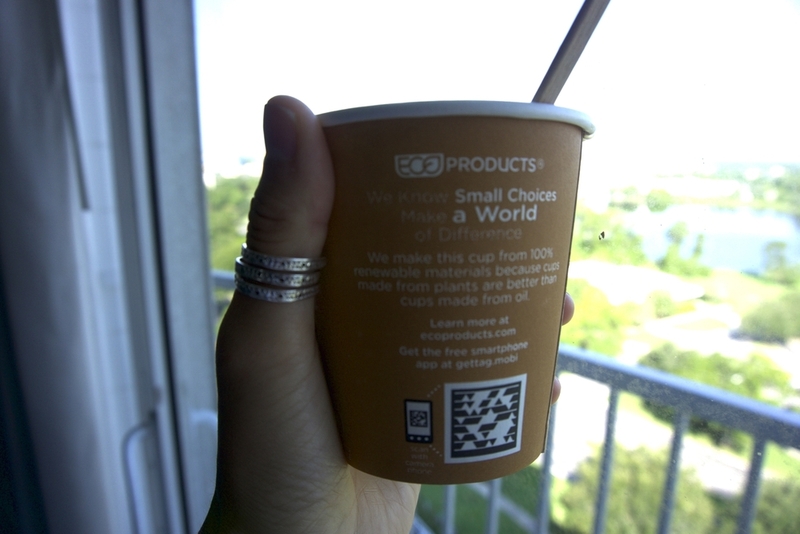 Even their packaging is made from recycled materials!). That same night, we decided to try something different and paid Putting Edge a visit. Glow in the dark mini golf! This was a first for me and it made my mind spin in the funnest (and healthiest) way possible! Day 2: We woke up early to get ready to drive to Crystal River, ordered room service, and were once again surprised by the fact that B Resort carried vegan and vegetarian options!! Even plant-based milk! I don't know about you guys, but in the Disney area where restaurants and hotels focus on serving fried fast food, this green option in my opinion was HUGE! I ordered the oatmeal topped with brown sugar, nuts and cranberries with a side of fresh berries and a cappuccino made with vegan milk. An hour later we were on our way to Crystal River to swim with wild manatees! An hour and a half drive from Orlando is Crystal River, the heart of the Nature Coast of Florida and home to hundreds of manatees that migrate there because of the water temperatures. This is the only place where we humans can interact with wild and free manatees legally (WITHOUT harassing, chasing or harming them that is!). This experience was beyond anything I ever dreamed of. Seriously! We booked a private tour (I recommend this 100%. A lot of tourists like to visit Crystal River. The private tour is your best bet to enjoy quiet and crowd-free moments with manatees) with River Ventures. The second we got to River Ventures' office, we were welcomed with a 5 minute video of the laws to be respected during the encounter with manatees. It made me incredibly happy to see how Florida is protecting these babies and their environment. Fines for harming a manatee can be as high as $100k and 1 year in prison. Once the video was over, our tour guide provided us with wetsuits, and off we went in our boat! The entire experience lasted about 3-4 hours. The captain was really good at spotting manatees so we saw around 8 of them. Once in the water, you have to be respectful and wait for the manatees to make contact with you and that was exactly what happened! Out of the blue, I had a baby manatee swimming near me, bumping his nose into my wet suit, and flipping in circles looking to get attention. This moment was everything! It summarized every story I've written about animals sensing energy and being attracted to it just like humans do! Our breaks in between every swim were awesome too! We got to interact with the boat staff, learn more about manatees, and enjoy a cooler full of beverages, snacks, and wine! Day 3: We spent the morning at the hotel's spa. Every product sold and service offered at this spa was natural, cruelty-free (no animal testing) and eco. Can you believe that? I was literally in heaven! 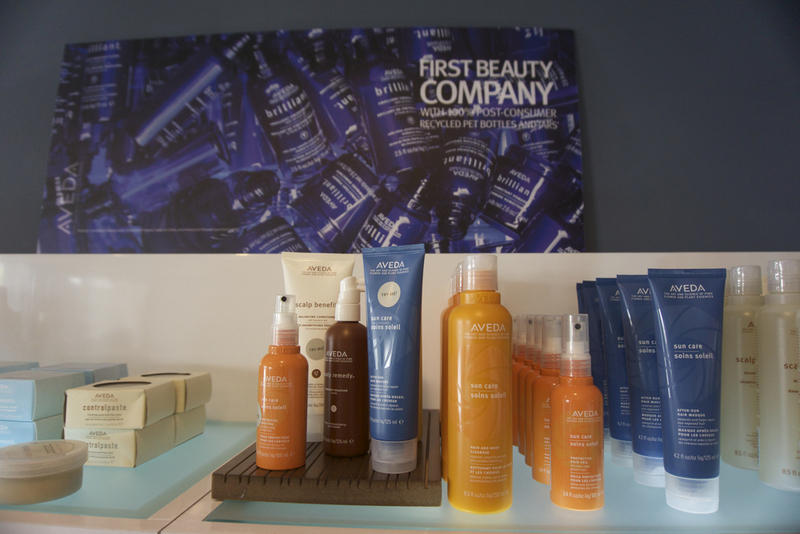 The spa carried brands like SpaRitual, Aveda and many more. After getting an overdose of love from the friendly spa staff and creating my own Aveda aromatherapy perfume, I met with the hotel's manager who gave me a tour of the hotel and shared more conscious knowledge about B Resort like the hotel using furniture made from recycled plastic, or the cute herb garden they have on a truck in the middle of their restaurant! I loved the eco creativity of that so much we filmed it! Which means you'll see it in the video below. :) After that tour, we found ourselves back on the road driving home and saying goodbye to a 3-day roadtrip neither of us ever imagined. -Try Sweet Tomatoes in Orlando. All you can eat vegan and vegetarian restaurant owned by a family of farmers. Sooo good!! -B Resort also has a herb garden with rosemary, basil and mint at the bar! Thus, your cocktails are made fresh from the garden!